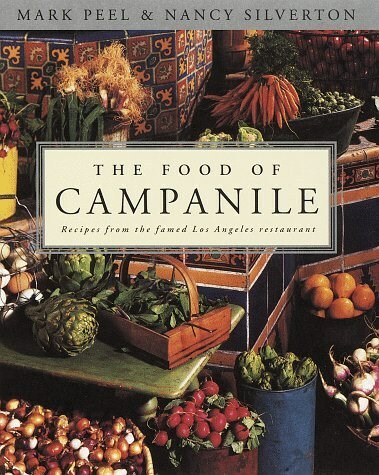 Established in 1989, Campanile immediately rose to the top of the Los Angeles restaurant scene, and it has stayed there by providing consistently sublime cuisine. Chef-owners Mark Peel and Nancy Silverton are well known for their personal mandate: If it's worth cooking, it's worth cooking well. The Food of Campanile skillfully blends sophistication and simplicity, making the recipes not only mouth-watering but entirely approachable for the home cook. From the subtlety of Roasted Chanterelle Salad to the complexity of Duck Confit and Cannellini-bean Ravioli with Port Wine Sauce; from the savory Black Cod with Brown Butter and Fresh Herbs to the succulent Braised Lamb Shanks; from the tartness of Chess Pie to the simple sweetness of Chocolate Chip Cookies (the likes of which you've never tasted) - Mark and Nancy's dedication to combining the freshest ingredients with the purest inspiration can be seen on every page and tasted in every bite.